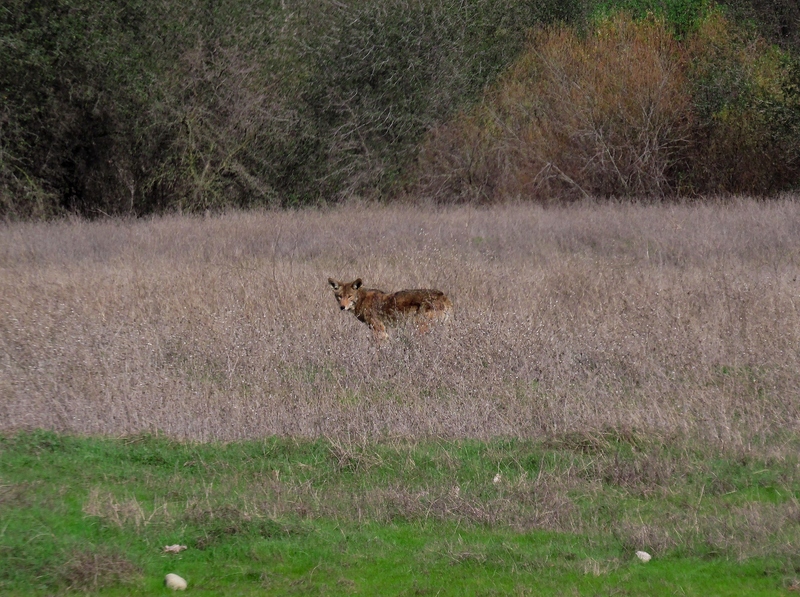 This was my first time spotting a coyote in the wild! I went hiking on Mississippi Bar this afternoon and was just turning toward home — there he was. Although I noticed a few other people out enjoying the day, they all seemed blind to the fact they were walking past this big guy standing in the middle of the field. He was eyeing me because I was having a minor coughing fit, but once he decided I was no threat, he calmly left the field, loped across the bike trail, and disappeared among the piles of river rock.